Talent takes an athlete only so far. A player must reach level (stage) 4 in the Hierarchy of Learning to play the game at an elite level. The development areas must be mastered for a player to be able to think less and play faster hockey. 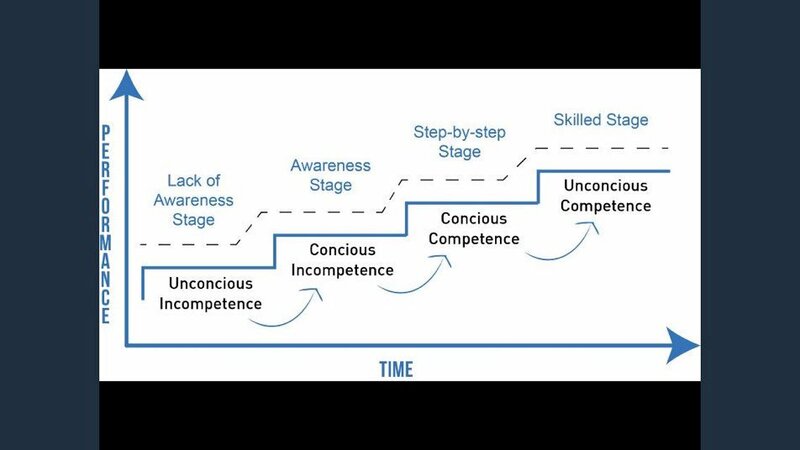 The Unconscious Competence Stage should be the goal of every player interested in reaching their full potential. Hockey is a game of time and space. For players to reach their full potential the tactical play must be “fast”. Players must know how to position themselves to support the puck offensively and defensively in all three zones. There needs to be less emphasis on winning and more emphasis on teaching technical hockey skills and tactics that support skill development. The players get faster and bigger every year. If we don’t teach them how to play fast with and without the puck we aren’t supporting their development. No systems, just tactics that support playing fast with sound technical skills coaching. Blog posts will be on subjects that serious players should find helpful to their development.